Chameleon: Chameleon is a well-known bed and breakfast located in Kirkwood, in the Sunday River Valley. The area is well-known for citrus fruit and the biggest wildlife festival in South Africa. All of our rooms are tastefully decorated and equipped with DStv, fridges, tea and coffee-making facilities, air-conditioners and microwaves. We offer room service and our guests may make use of the braai facilities and the swimming pool, which has a safety net. Our restaurant caters for various tastes, including vegetarians. The restaurant is located on the premises and it is fully licensed. There is a nearby golf course which is a great attraction and we are approximately 55 km away from the Addo Elephant National Park. We are also within an hour’s drive from the Port Elizabeth International Airport. Pedro and Erika Lopez, South Africa: Good accommodation and excellent service from owner and staff, the restaurant well manage and very tasty and variety of dishes. 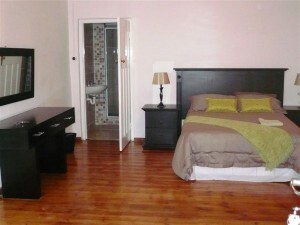 Pedro and Erika Lopez, South Africa: Very good service and the rooms well kept, the restaurant food very good. Matthys Grobler, South Africa: Service was excellent!!! MICHELLE KAILAND, South Africa: The staff was very welcoming and friendly. I have stayed at several B&Bs and the service and room of Chameleon was as good as a 5 Star B&B, if not better. We will definitely stay here again.